In Villard-de-Lans, the enduring memory of the Cyprian Norwid Polish High School is more than just the recollection of a key period in the lives of its protagonists, and far more than simply the expression of a duty to remember. The prestige enjoyed by the Polish High School made Villard one of the strongest building blocks in the history of Polish emigration, and it is often quoted as a reference in Polish circles. Villard has become a living monument, a true symbol of real and powerful friendship, of bravery, of inner strength and of solidarity. It helps us to understand those who actually lived through those days and who attach great value to remembrance, and to respect them all the more. That is why Villard has perpetuated the memory of the Polish High School down the generations for them, as an act of friendship and of freedom. In the coming years, the future Cultural Centre will combine the Heritage Centre with a media library. A special area will be reserved within the Centre for the Polish High School, where its history will be told and its most significant archives displayed. Between now and then, the archives are going to be compiled and used, books are going to be translated and published, and films are going to be digitalised. 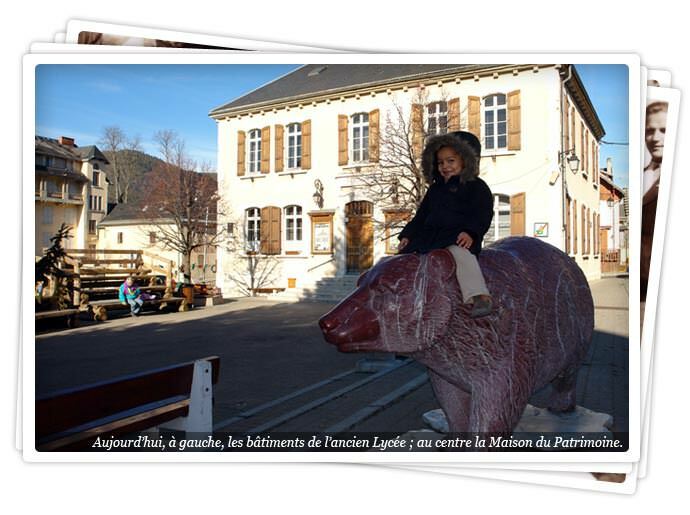 This website, devised and monitored by the Old Pupils’ Association and hosted by the Villard Town Council, will reflect these many different projects.